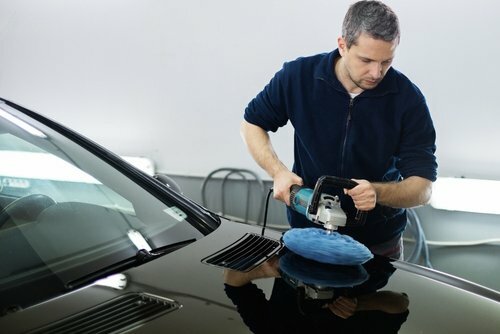 Why is car polishing an important process in maintaining the appearance of your vehicle? 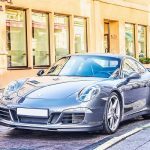 Car polishing prepares the surface of your car for waxing and sealing, gets rid of scratches on the windshield, and removes contaminants from surfaces made of or coated with chrome. It repairs minor damages to your vehicle’s windshield. All in all, polishing enhances the beauty of your vehicle. And, in the event that you would like to sell your ride, you can expect a higher resale value. 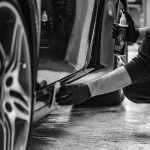 Car Polishing or Waxing: What’s the Difference? Some people think that polishing and waxing are one and the same process and often use them interchangeably. In reality, they are different. Car polishing comes before waxing, not the other way around. Polishing involves the use of products containing abrasives to even out imperfections. This ensures that no contaminants will be sealed in once the wax is applied. But what’s buffering, you might ask. Now that comes before polishing. Perhaps this is where the confusion comes from. Detailers put some wax on the buffer’s head to facilitate the process and prevent damage to a vehicle’s surface. Maybe this is why some people think that waxing comes before polishing. There’s no one-method-fits-all when it comes to car polishing. 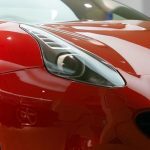 Your prized possession is made up of different materials which require different polishing techniques. Each material needs a dedicated product to bring out its beauty and enhance its shine. Chrome surfaces, for example, need to be examined first to identify if it’s real chrome, plated, painted or coated. It should be cleaned thoroughly. Use a pressure washer to get rid of brake dust, bugs, tar and other contaminants if you are cleaning chrome wheels. Alternatively, you can steam clean it. Buff, polish, and wax for best results. Areas made of aluminum can look dull over time. That’s why it needs to be polished and shined regularly. Just a precaution: aluminum is softer than chrome, so extra care is needed when detailing it. Plastic surfaces are easier to clean and maintain. But like other materials, plastics can look dull and lifeless in time, especially if they have been neglected. You have to clean it thoroughly, polish with toothpaste or products specifically created for plastics. 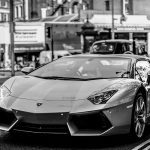 With so many car polishing products out there, which should you invest your money on and entrust your car with? As an eco car wash, we deem it best to use organic products. Not only do they give superior results; they also protect your vehicle, your health, and the environment because they do not contain harsh chemicals that can damage car paint, leave toxic residues that can affect your health and wellness, and pollute the soil and groundwater. Should you go for liquid or solid polish? It all depends on your needs and preferences. Liquid or spray polish is easier to apply and spreads evenly. Some people attest that paste polish provides better results, yet more difficult to apply, especially during hot weather. Of course, you also have to choose a good car polisher if you’re bent on a DIY job. You must also have proper tools and protective wear to keep you and your vehicle safe. Tiny bits of paint and dust will fly so you have to wear protective eyewear and gloves. So how do you polish your car as safely and efficiently as possible? There are two ways: manually or mechanically. Which one should you use? 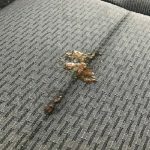 It all depends on the condition of your car’s paint. Are there visible swirls and scratches? Oxidation? Chemical etching? Dull paint or yellowish headlights? Wash and dry your car thoroughly. Clay bar it to ensure the surface is free of contaminants. Even a tiny grain of sand can get trapped into the polisher head and cause minuscule scratches. In time, these tiny scratches can get bigger and require costly body repairs. Put some polishing compound onto your applicator pad. Work on sections and apply evenly. Wipe the residue with a microfiber buff cloth. Polishing with an electric buffer follows the same process. But make sure you use the car polisher properly to avoid damages to your car’s paint. 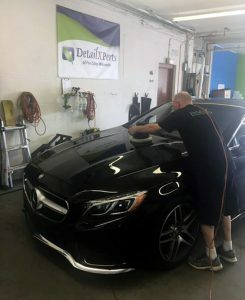 For best results, why not schedule an appointment with us here at DetailXPerts? All of our technicians have been trained in all aspects of car detailing including car polishing. Try our presidential detailing service now!